One of my great delights is stumbling across unassuming little villages that hold unexpected historical secrets. 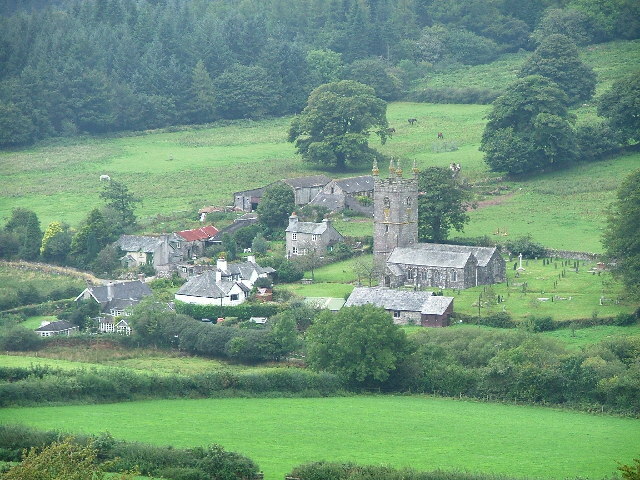 One such is the remote Dartmoor village of Sheepstor. 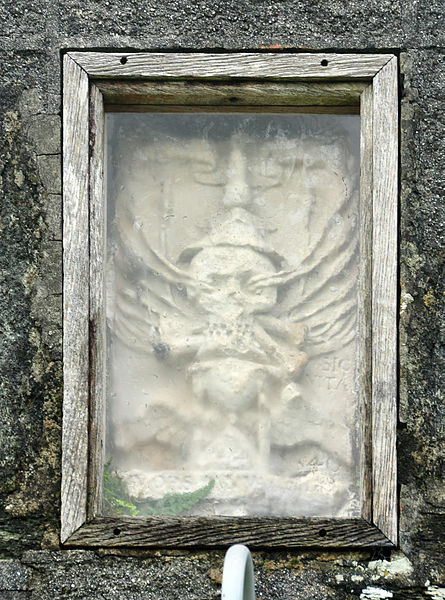 The strange stone carving over the door of St. Leonard’s church, which some say resembles a skull with ears of corn sprouting from the eye sockets, became the inspiration for my new historical thriller. 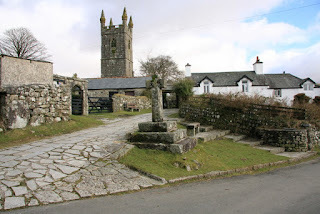 But this remote Devon village has become place of pilgrimage not just for the medieval obsessives like me, but also for visitors from Sarawak, Malaysia. 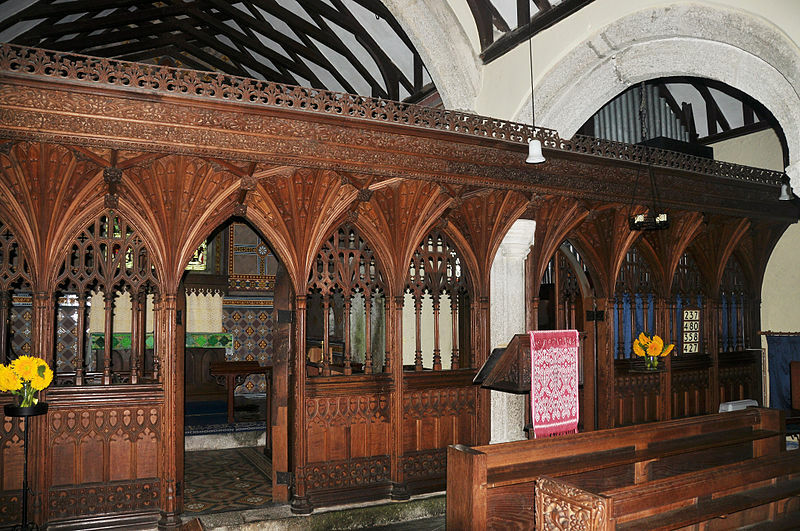 For this little village not only boasts a holy well, a beautiful reconstructed rood screen, two ancient stone crosses, the remains of a bull and bear baiting field, and a Pua Kumba, but also the tombs of three Rajahs of Sarawak. The story of the Rajahs of Sarawak and Sheepstor is told on a plaque inside the church which seeks to cast a benevolent spin on a bizarre episode of history. According this, James Brooke was born in Bengal in 1803. Having been badly wounded in the Burma War of 1825, he was forced to resign from military service and spent his time travelling in the Far East. He bought a schooner and eventually sailed it to Singapore in 1839. There the Governor asked him to take gifts to Rajah Muda Hassim of Sarawak in North West Borneo, to thank him for the great kindness he had shown to shipwrecked British sailors. Surveying the seventy miles of uncharted coast as he sailed, Brooke reached Sarawak and, though hospitably received, he found a country ravaged by rebellion and tribal wars and under constant attack from pirates. His experience meant he was able to offer advice and help to the local administrators who eventually asked him to stay on and become the Rajah. He served as Rajah for 22 years helping to prevent slavery and piracy and bring some measure of peace between warring tribes. He raised money to help the people using not only his own wealth but borrowing funds from Baroness Burdett-Coutts. Other accounts cast Brooke in role of arch- colonialist, and the alternative view of how Brooke came to be Sultan is rather more Machiavellian.The coastal region of Sarawak was under the control of the Brunei Sultanate, while in the interior of Sarawak the Iban, Kayan, and Kenyahs fought continual territorial battles. A rich seam of antimony had been discovered and the Brunei Sultanate demanded higher taxes from Sarawak, which had led to widespread rebellion. In 1839, Sultan Omar Ali Saifuddin II ordered his uncle Pangeran Muda Hashim to restore order. Pangeran asked for James Brooke’s help. He initially refused, but agreed when he returned in 1841 and Pangeran signed a treaty surrendering Sarawak to Brooke as Governor. In 1843, Brooke attempted to get his ally, Pangeran, accepted as a member of the Brunei Court, more-or-less at gunpoint, but in 1945 they retaliated by having Pangeran assassinated. Brooke promptly attacked Kampong Ayer, the capital of Brunei. The Sultan of Brunei found himself compelled to apologise to Queen Victoria, confirm Brooke's possession of Sarawak and concede Brunei’s right to tribute on antimony mining rights. It was then in, 1846, that Brooke became the Rajah of Sarawak. 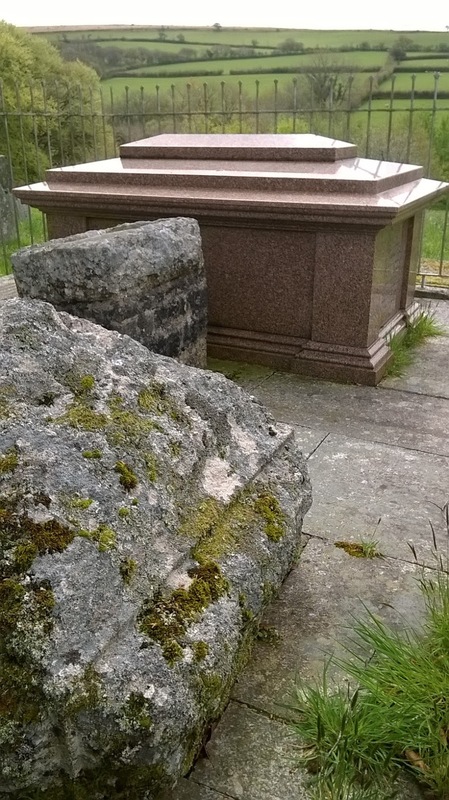 Tombs of the three Rajahs in Sheepstor, Devon. So, James Brooke, champion of Sarawak against the oppressive Sultanate of Brunei and the evils of slavery, or autocratic colonial adventurer? - the truth is seldom found in labels. 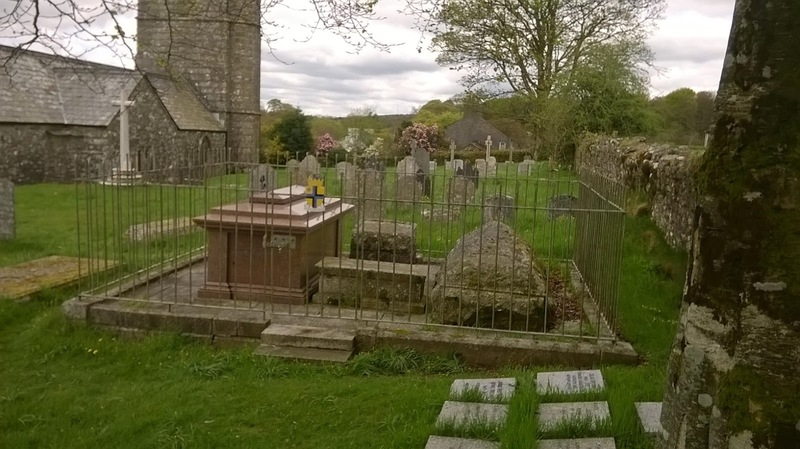 James Brooke retired in 1863 to England to live in the Dartmoor parish of Sheepstor and was buried there after his death in June 1868. His eldest nephew, Captain John Brook Johnson, was nominated by his uncle as Rajah Muda. But his uncle seems to have regretted his choice of heir and there is some suggestion that James banished his nephew from Sarawak. John died in England in the same year as his uncle. In the meantime, John's younger brother, Charles Antoni Johnson, had taken leave from the navy in 1852 to help administer Sarawak and managed to win the trust of the people, which was not lightly given. He was appointed Rajah and ruled for nearly 50 years. He inherited a debt-ridden country, but in 1871, had managed to repay Baroness Burdett-Coutts the money she had lent to James. According the account in the church, other tribal groups in Borneo sought the protection of Sarawak, and in this way the territories were extended to 50,000 square miles. Though described even by his admirers, as ‘austere, direct, and autocratic,’ Charles travelled constantly through Sarawak, engaging with the leaders of the different ethnic groups, and developing schools, medical facilities and trade. In 1888, Sarawak became a fully independent state under British Protection. Charles died in 1917, aged, 88. His first three children had perished from cholera, but he had three further sons, the eldest of whom, Charles Vyner de Windt Brooke, became the Rajah after the death of his father in 1917, during the First World War. In 1941, at the centenary celebrations he announced his intention of renouncing the title and establishing a Constitution, but in December of that year Sarawak along with the rest of Borneo had been invaded by the Japanese. 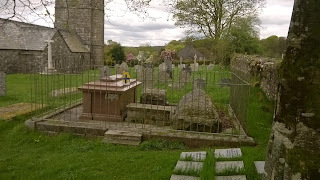 The three tombs of the Rajahs can be found in the north-eastern corner of Sheepstor churchyard, incongruously facing the most English of rural scenes with sheep grazing on the hillside. James Brooke’s has the grandest tomb made from polished red Aberdeen granite, while the other two Rajahs' tombs are of local Dartmoor granite. The larger of the two took 11 horses to pull it to the churchyard. 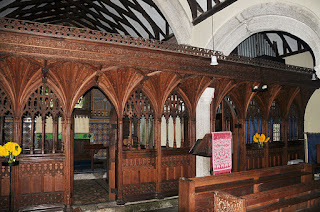 Inside St Leonard’s church you’ll find a Pua Kumbu, or a ceremonial mat, given to Sheepstor Church by the people of Sarawak, and presented by Dr James Masing, the assistant minister of tourism when he visited the tombs on 7th of March 1996. 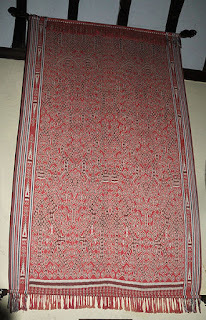 A fascinating exhibition in the church explains that the Pua Kumbu acts as a ‘sacred space’ in ceremonies performed by the Iban tribe and for rites of passage. 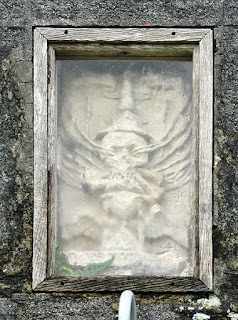 It is a place where the spirit world and the world of the living meet. Each Pua Kumbu is different and the unique designs are revealed in dreams or visions to groups of Iban women who have dedicated themselves to seeking great spirituality. The church also contains a memorial dedicated to the members of the Sarawak Civil Service who died in Japanese prisoner of war camps during WWII. Wonderful to find these men remembered so many miles from home in a tiny Devon village. If you are travelling through the West Country, it is well worth taking a detour to visit Sheepstor, not least for the beautiful moorland setting and if you have time perhaps climb up to the tor behind the village whose granite rocks conceal a pixy cave or ‘knocking cave.’ And if you find that the village and church look familiar, that maybe because Steven Spielberg used Sheepstor for some of his location shots in the brilliant film War Horse. Karen Maitland's new medieval thriller, A Gathering of Ghosts, set on Dartmoor, is published on 6th September 2018. Oh, thank you, Sue! It is a such a wonderful little village to explore. Tiree - an historical gem.